TOP STORY: What's this new thing called a "micro-scholarship"? Many companies in the world of college prep claim to offer "innovative" services of some kind — but few of them actually deliver. But this week, we heard of a new company that sounds like it may be doing something...truly...innovative. 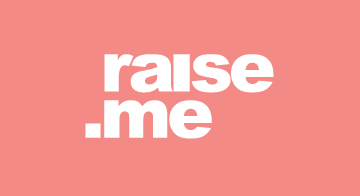 Raise.me is a new site where any high school student in 9, 10, 11 or 12th grade, in the US, can automatically earn scholarship money from colleges for individual, bite-sized, achievements all throughout high school. For example you can earn scholarships for each final grade of an A or B in a class, participating in an after-school activity or club, or spending a few hours volunteering in your community. While the goals on raise.me are bite-size, the scholarships are much larger. For example, if you get an A in your English class this year, you can receive scholarships from dozens of colleges on raise.me all at once, including $1,000 from Tulane University, $500 from the University of Central Florida, and more. Is the concept of a micro-scholarship a potentially breakthrough innovation when it comes to paying for college?